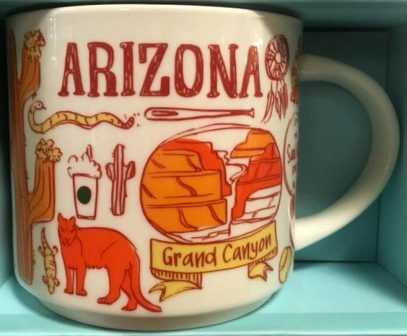 For some obvious reasons, the central part on the front of Starbucks Been There Ornament Arizona is given to The Grand Canyon – known for its visually overwhelming size and its intricate and colorful landscape. It attracts millions of tourists each year, and is one of the well known symbols of US. What else? 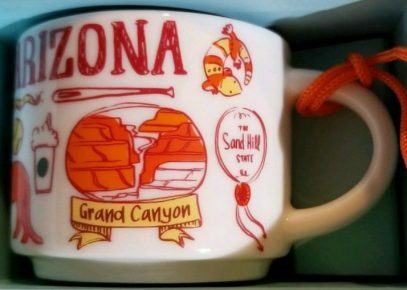 Yet another leaked photo of the mug from the new series – Been There – Arizona. Again we see pretty busy design completed using orange to red patterns. What was the inspiration for the artist here? 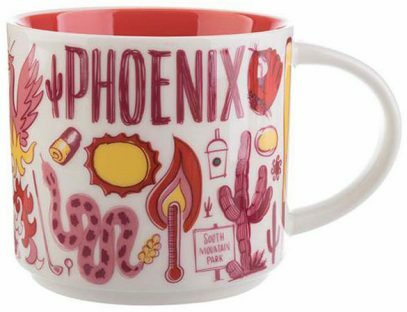 Only seeing a small portion of the mug surface we can identify: Saguaro (tree-like cactus species), snake, canyon from Red Rock State Park (city of Sedona) and air balloon. There is definitely much more from the mug to discover. Stay tuned for more info! 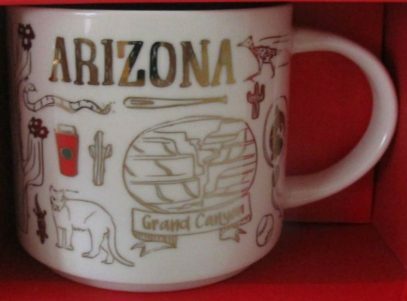 This Icon mug came from Arizona, Usa. Dark Brown is used as its theme color. 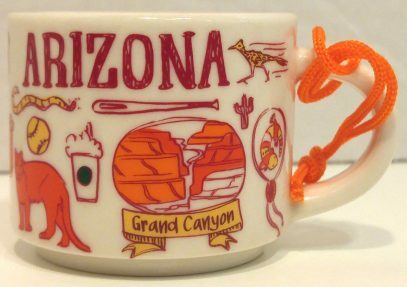 Seligman, Beginning of Route 66 can be seen on the front of the mug and Grand Canyon on the back.